Insurance companies have obligations when your car is totaled, but those obligations vary based on your policy and how the damage was done. If you have collision or comprehensive coverage, your insurance company ultimately has to compensate you for the value of the car. The process might not be a quick one, and you’ll have to stay on top of things to get the amount you’re hoping for. Insurance companies consider a car a total loss if their costs to repair the vehicle and pay the other costs associated with the claim exceed the amount it would cost to buy a replacement and send the wreck straight to the salvage yard. Most insurance companies have a percentage at which point they decide the vehicle isn’t worth repairing. For example, a car worth $9,000 that sustains $7,500 worth of damage will likely be considered a total loss, given that the repaired vehicle still loses value based on the severity of the accident. Older cars with lower resale values and a greater difficulty in finding parts tend to be declared totaled more often. If you have comprehensive or collision insurance, your insurance company is required to compensate you as specified in the policy, usually an amount equal to the current value of the car minus your deductible. 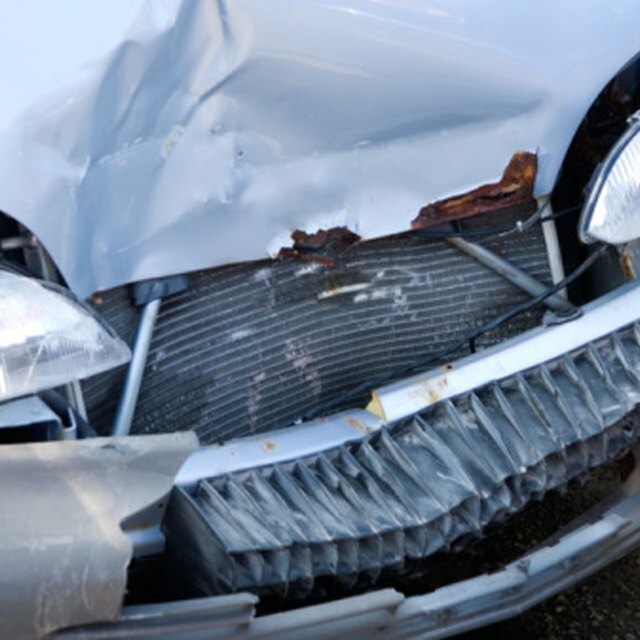 Every insurance company has a different process for determining the value of a totaled car. It’s in your best interest to be informed of what your car was worth in case that number comes in low. Online resources like the Kelley Blue Book provide an estimated value based on your car’s make, model, mileage and condition. Looking for sale prices for similar models online can provide additional data. You may need to refer to this information if you're unhappy with your insurance company's offer. If your policy has rental coverage, your insurance company will be required to pay some or all of the costs of a rental car for a specified period. Depending on your car and the coverage, the rental car that the insurance company will pay for may not be as fancy as the car you were driving. How Does an Insurance Claim Work if Your Car Is Stolen? One part of comprehensive coverage that is sometimes overlooked concerns the taxes, tags and title fees associated with purchasing a replacement vehicle. Check thoroughly to see that a settlement offer includes those costs -- unless they are specifically excluded in your policy language -- since you'll have to pay these costs when buying a new car to replace the one that was totaled. If you decide you want to keep your totaled car, you may be allowed to do so, but the check you’ll receive will be smaller. The insurance company considers the salvage value when determining what to offer, so it will reduce the check by the amount it could have gotten had it been able to dispose of the car. Also, check your state laws. In some locations, cars declared as total losses can’t be retained by the owner. In addition, insurance companies may be reluctant to cover a car previously declared a total loss. Insurance policies compensate you for what the car is worth, not how much you happen to owe on it. If you’re driving a car that’s just one or two years old and that you financed, it’s very possible that the check your insurance company gives you will be less than what the financing company demands you pay. If that’s a concern, purchase a gap insurance policy to cover the difference.